Plan fiduciaries have an obligation to prudently select and monitor investment options and the organizations providing services to their plan. Understanding and evaluating plan fees and expenses associated with investments and services is an integral part of a fiduciary’s responsibilities at the time of initial selection. On an ongoing basis, fiduciaries are also obligated to monitor fees and expenses to determine whether they continue to be reasonable in light of the services provided. Clarifying the “true” cost and value of defined contribution plan services can be one of the most daunting tasks faced by plan sponsors. The types of fees and expenses include not just the direct charges being made to plans, but also indirect payments, such as mutual fund finder’s fees, 12b-1 fees, and sub-transfer agency fees. 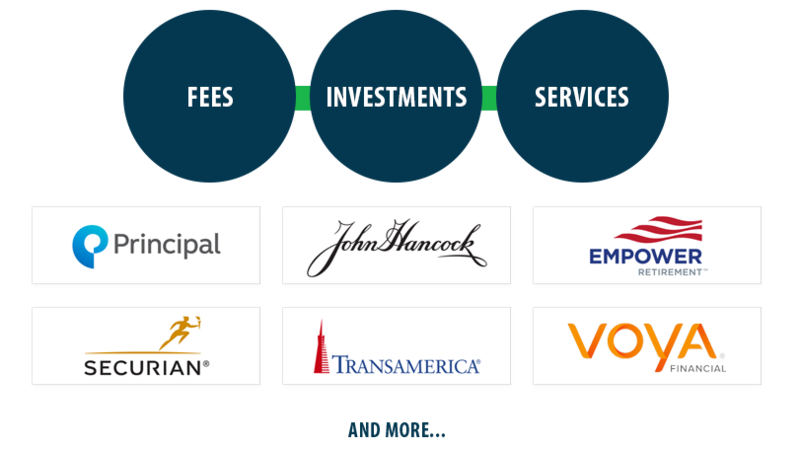 The recipients of these fees will likely include some combination of bundled plan service providers, plan recordkeepers, third party administrators, broker/dealers, and financial advisors. An understanding and evaluation of who receives those fees in light of services provided to the plan is equally as important as understanding the fees themselves. A fiduciary who does not understand these concepts is putting themselves at real risk. Premier Retirement Plan Advisors possesses the in-depth industry knowledge and experience to provide clients with a thorough and accurate analysis of plan fees. We will work with your retirement plan providers to implement meaningful solutions for controlling overall costs and/or improving the level of services received. Once we have thoroughly analyzed the particulars of your plan, we will compare it to others with similar characteristics. 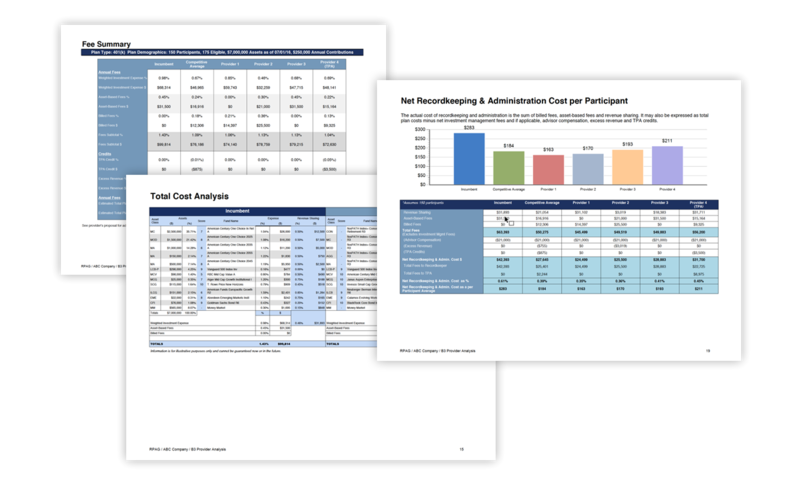 This comparison will help us determine and implement any and all cost control solutions and, equally importantly, provide plan fiduciaries with written evidence that they have followed a prudent process.